Meatloaf Shouldn’t Bounce. Gray… Meat Should NEVER look this way! 2 Meatloaf Shouldn’t Bounce. Gray… Meat Should NEVER look this way! 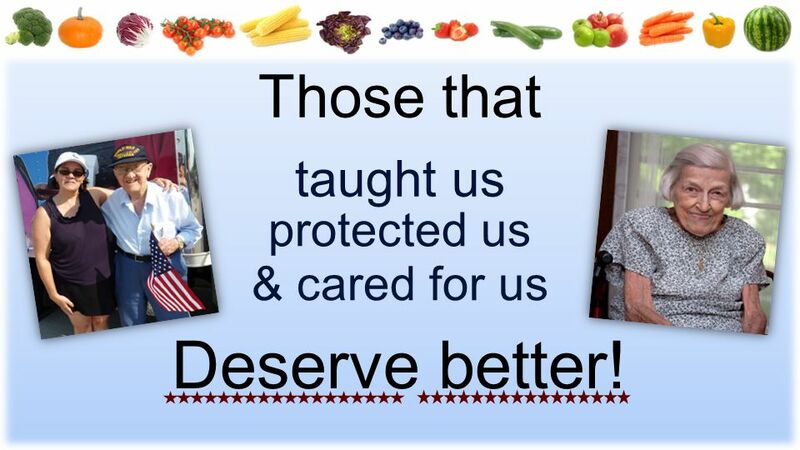 3 Those that taught us protected us & cared for us Deserve better! 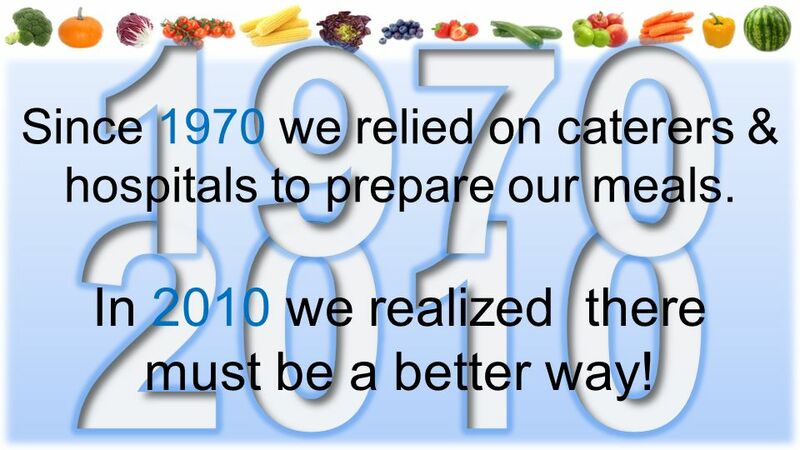 4 Since 1970 we relied on caterers & hospitals to prepare our meals. In 2010 we realized there must be a better way! 7 “It’s just not feasible.” They said it couldn’t be done. 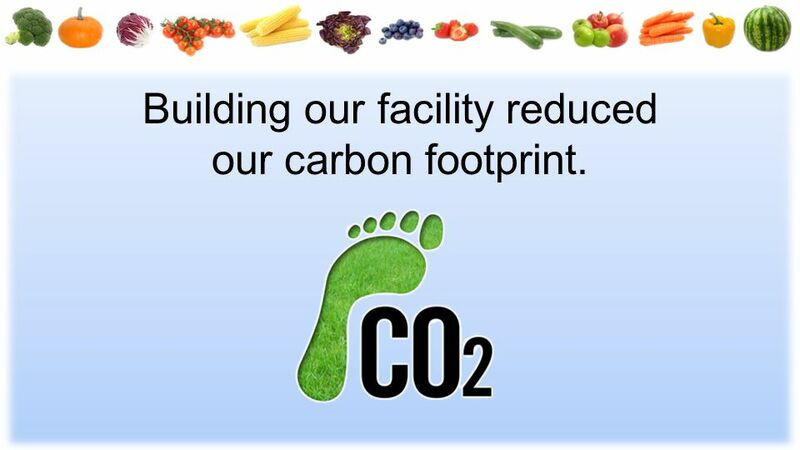 10 Building our facility reduced our carbon footprint. 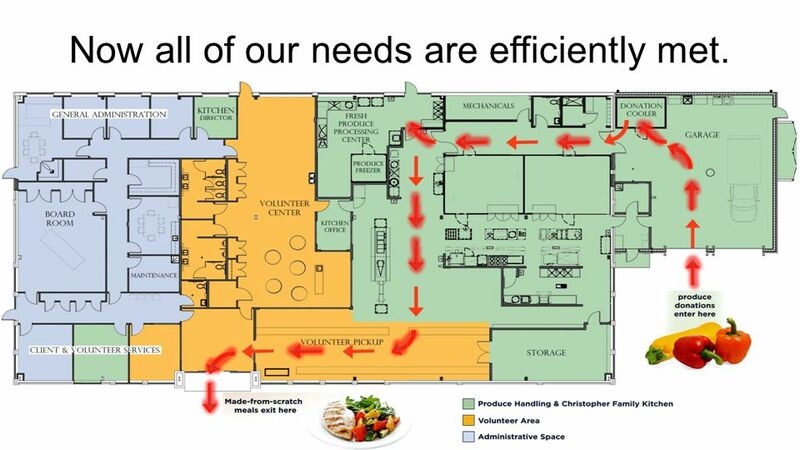 11 Now all of our needs are efficiently met. 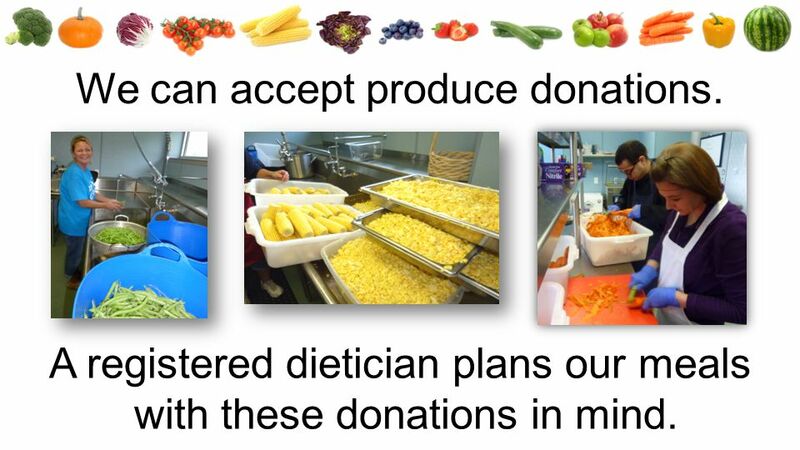 12 A registered dietician plans our meals with these donations in mind. We can accept produce donations. 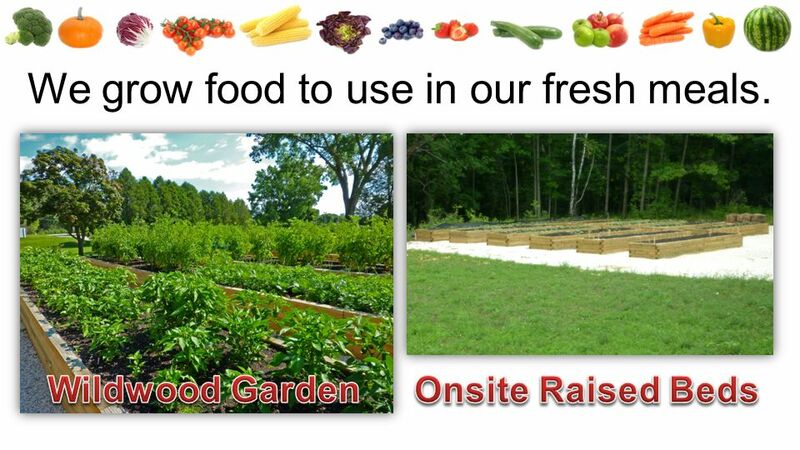 14 We grow food to use in our fresh meals. 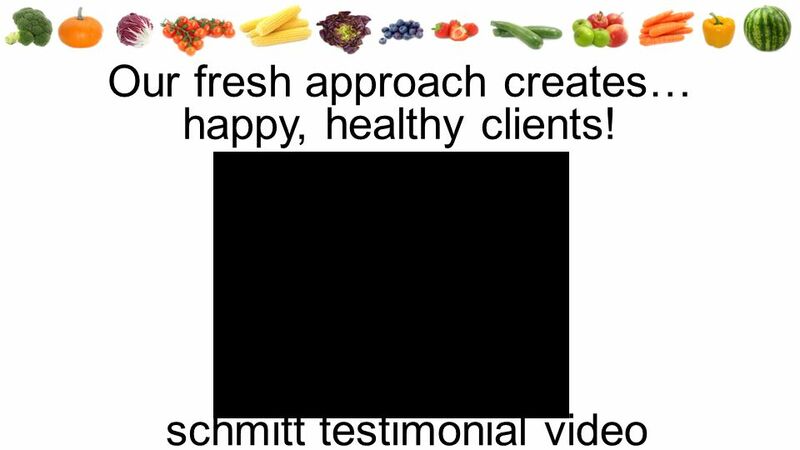 16 schmitt testimonial video Our fresh approach creates… happy, healthy clients! 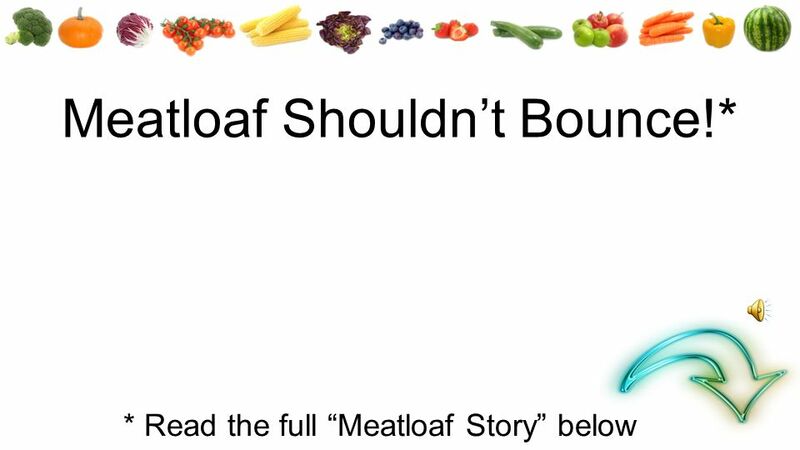 Download ppt "Meatloaf Shouldn’t Bounce. 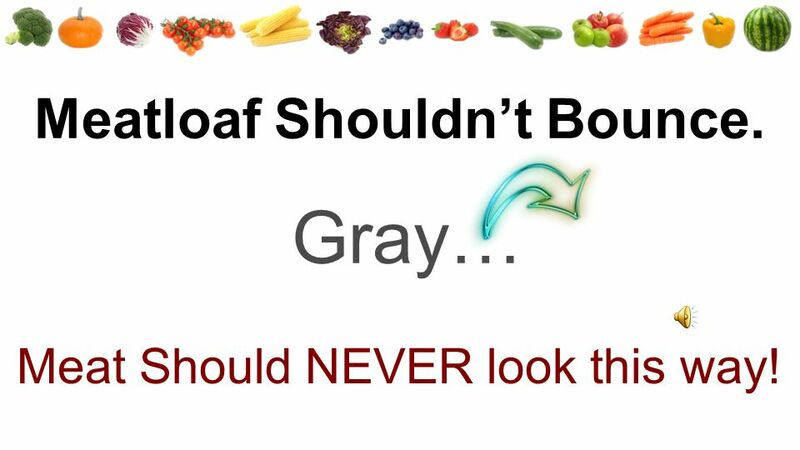 Gray… Meat Should NEVER look this way!" Ten Questions Everyone Needs to Ask at a Farmers Market Or Everything I learned About Farmers Markets Came After Kindergarten! 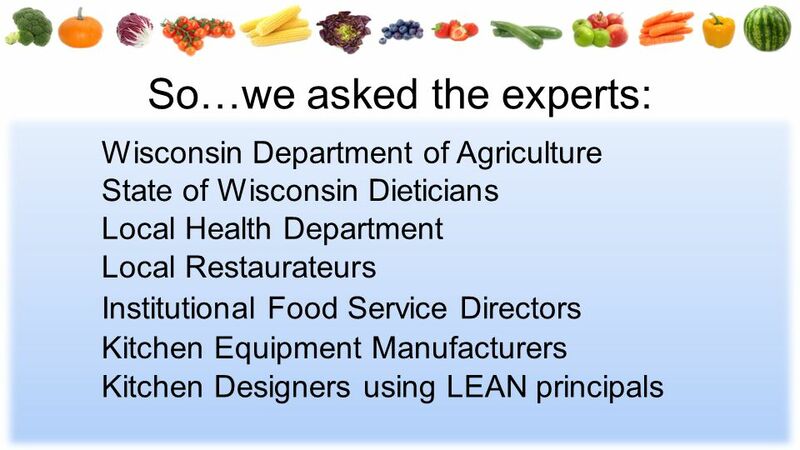 Webinar Instructions Call in #: Access code: # Make sure you have called this number! Ignore the phone number in the automatic confirmation. School Breakfast The School Breakfast Program (SBP) was established in School districts receive federal reimbursement for each school breakfast served. Food insecurity on the Mornington Peninsula… The Victorian Population Health Survey Report 2008 states; 8.7% of residents in the Mornington Peninsula experience. Our Future – What Can We Do? Choose Your Own Adventure and see what your future could be like. Why Do We Care?. 1. How often do you eat or make decisions about food? 2. 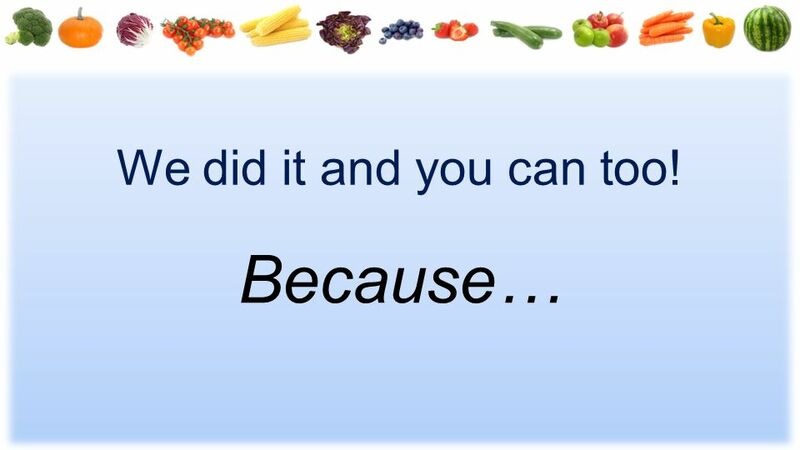 How many days a year would you like to feel healthy? 3. How long would you like. 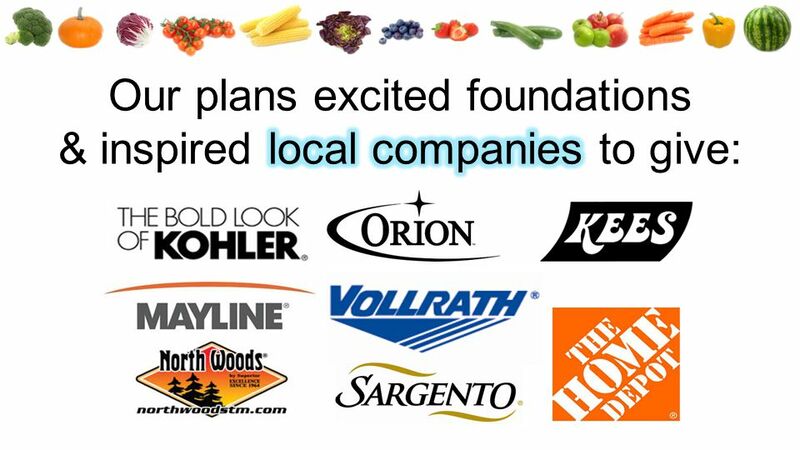 Local Food Planning Jackie Forbes, MS Health Planner. Know how. 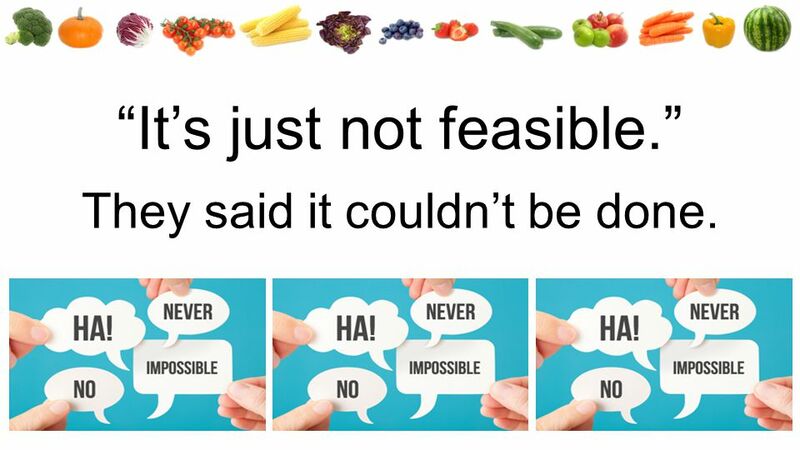 Know now Created by: Alice Henneman, MS, RD, Extension Educator University of Nebraska–Lincoln Extension Photos. Composting! Healthy eating! Cooking! Curriculum links Partnership with the canteen! Buddy training! Expanding the garden! Community involment Fun and. Using this template This template gives you a starting point to create a presentation to managers on workplace health and wellbeing. The template includes. Bureau of Nutrition and Physical Activity Leadership for a Healthy Arizona Arizona Champions for Change: Communities Putting Prevention to Work Adrienne. Skill Up Start Cooking! 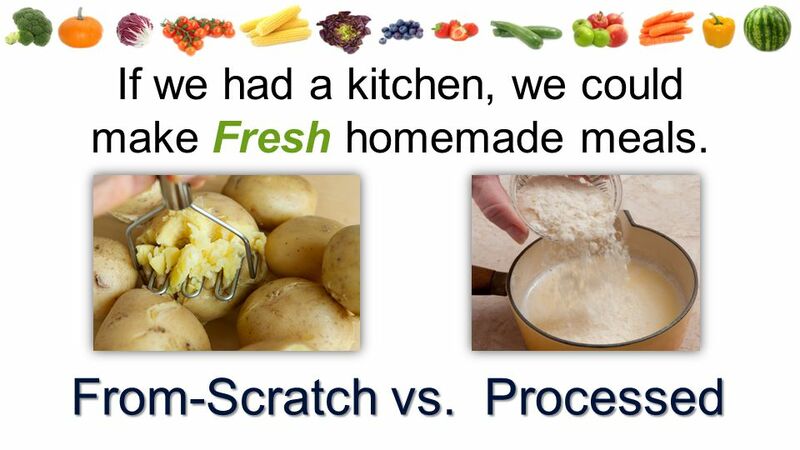 Preparing for compulsory cooking activities in the primary curriculum Jane Sixsmith, Director of Focus on Food. Healthy & Lovin it! Rebecca Reed Healthy Lifestyles Coordinator. 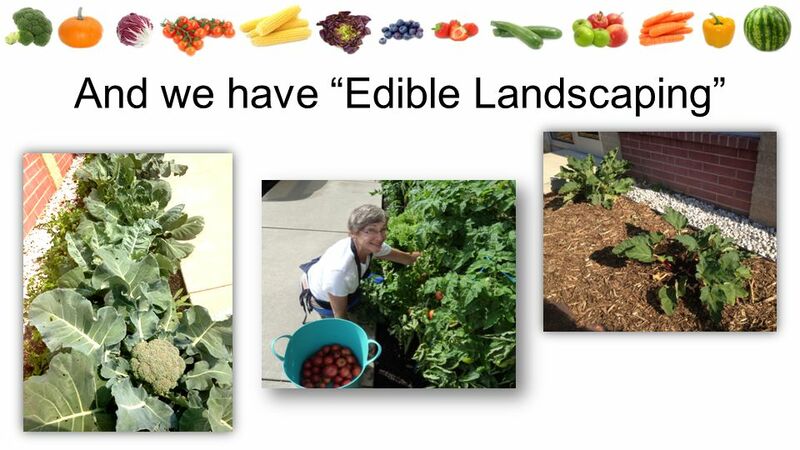 Edible Landscaping Lois Royer. College of Agriculture and Natural Resources. Patriot Produce Sustainable Garden Lizzie, Rose, Jacqueline, Stuart, and Andrew. 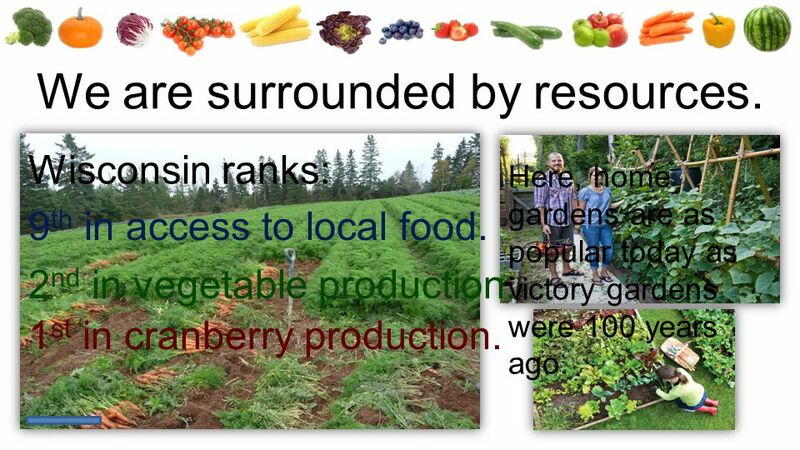 Minimizing Risks and Removing Obstacles in School Gardens Farm to Cafeteria Conference April 16, 2014 Austin, TX. 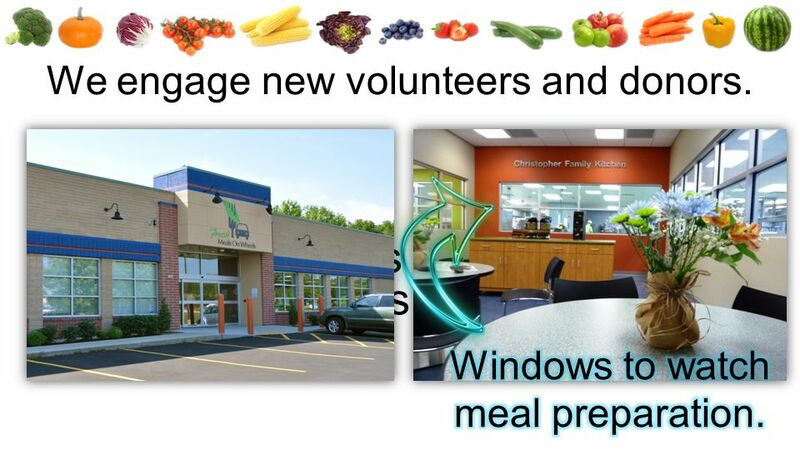 Food and Fun Afterschool Curriculum Developed by the Harvard School of Public Health in collaboration with the YMCA Part 2: Training Trainers Improving. Campus Kitchen Feeding the Impoverished By Jo Mohan.